The Henley Vaporium in New York City brings together its new line of products with the older (if anything in this industry can be thus described) brands like Kanger and Innokin. Maybe it would be better to contrast brands in terms of familiarity: everyone who vapes has heard of Innokin and Kanger, but they might not have heard of Henley e-cigs. This Henley Vaporium review should change that. “Vaporium” is a blend of two words: Emporium and Vapor. Both of these nouns befit the location where vapor is the focus, but the atmosphere is one of entering a multi-faceted market place. The décor is original and comfortable: shabby chic, combining antique or antique-looking chairs with modern seats on a red carpet in front of a brick wall. You will feel as though you have entered the trendy side of New York but also, potentially, an established and historic one. Individually, furnishings might appear to be thrown together. Combined, the effect is to suggest that Henley, while modern, will become part of the legacy of New York commerce and the industry overall. Maybe it sounds like a new idea, bike messengers cycling through the streets making deliveries, but it’s really an old concept. Henley offers free messenger services to New York City customers for orders of $100 or more. You can visit the shop at 23 Cleveland Place from Monday to Saturday. They’re open late. Some things just happen without you realizing it, like some learning opportunities. During a visit to Henley Vaporium, you are bound to learn a thing or two just by watching a demonstration, asking for some help, or trying a product (e-liquid or e-cig). They make their own e-juice at Henley, sell their own brand of mini cigs (both rechargeable and disposable), and sell kits or mods along the way. Visit here when you are starting out and stay as your interest deepens. As you might already know, there are 4 reliable APVs from Innokin that are widely carried by e-cig retailers. This gives you ample opportunity to compare prices. The SVD costs $80. Pay $125 for a VTR. Choose an MVP 2.0 Kit and pay $60. The 134 is priced $150. Alarm bells went off when I saw those prices. For in-store pricing I might accept these fees. They have overheads after all. Internet pricing, however, is too competitive for you to let this slide. These are significantly over-priced. Check the Vamo V5 elsewhere too before paying $80. There is a rechargeable A10 eCig kit in the catalogue. It is built with a 510 connection and comes with one battery. Pay $42. An eGo CE4 Kit starts at $66 but can be upgraded in several ways. This is a good idea; sell just one kit and use a single ordering page to keep things simple. Customers choose a 650, 900, or 1100mAh battery and a color: blue, black, silver, or red. The kit contains two batteries and two clearomizers. Ego batteries include Revolvers (spinners), variable voltage devices for $30 (pricey). An Ego-T costs $27. Select something low-tech but high performance from their display cabinet, such as an authentic Castle Mechanical Mod by Vape smith costing $150. Purchase an $85 Castle RBA or the $90 Tobh. Henley sells authentic Brushed Patriot Mods for $69.95. Their shop also carries standard atomizers, a Kanger Evod for $7, CE4 clearomizers, and the Mini Protank II for $16 which is pretty good. Their pricing strategy is sometimes high, sometimes fair or even low. There isn’t a clone in sight. Purchase an Express Kit with three filters, one rechargeable battery, and a USB charger for just $14. This is a mini cig in tobacco or menthol. A lot of companies charge more than that for two filters: up to $29.95. Henley’s price is reasonable. Their replacement filters are also a good price: $11.95 for 5. Besides the styles noted above they stock another tobacco, vanilla, cappuccino, strawberry, pina colada, clove, cherry, and watermelon. 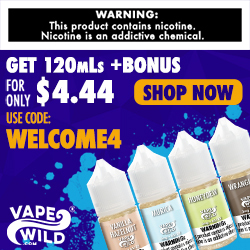 The Vaporium store and website both offer assistance. Are you wondering what type of e-cig would suit your current level of experience or the amount of smoking you have been doing to this point? There is a heading: “which Henley is for me?” The articles there strive to answer that question. Henley E-Liquids cost $12 for 15mls: similar to juices like The Standard and Alpha Vape which they also carry. This is a lot for e-liquid. Flavor titles refer to NYC: the Big Dapple, Brighton Peach, A Train Express, and Traffic Jam. There are just 11 but many other brands besides.